The aim of this book is to provide the reader with a virtually self-contained treatment of Hilbert space theory leading to an elementary proof of the Lidskij trace theorem. The author assumes the reader is familiar with linear algebra and advanced calculus, and develops everything needed to introduce the ideas of compact, self-adjoint, Hilbert-Schmidt and trace class operators. Many exercises and hints are included, and throughout the emphasis is on a user-friendly approach. 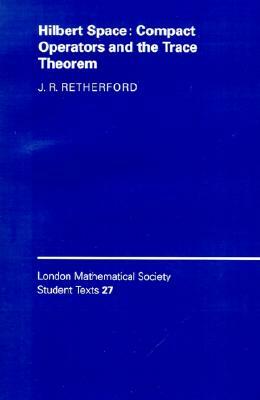 Author Name: Retherford, J. R.